Buying your first car should be an exciting time, not a struggle with your credit. Volkswagen wants to help make it easier to buy your first car, which is why Volkswagen Credit has created the VW First Time Buyer Program, a specific loan for first-time car buyers. Qualifying for the VW First Time Buyer Program is easy: if this is the first car you’ve ever financed, and you’ve had a full-time job for the past year, you’re qualified. It’s that simple. 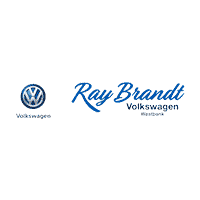 The Finance Department at Ray Brandt Volkswagen is ready to help first time car buyers get into a new Volkswagen car or SUV. You can get pre-approved for an auto loan through Volkswagen Credit online, or stop by our dealership today for no-hassle assistance with the Volkswagen First Time Buyer Program from a Volkswagen finance professional.